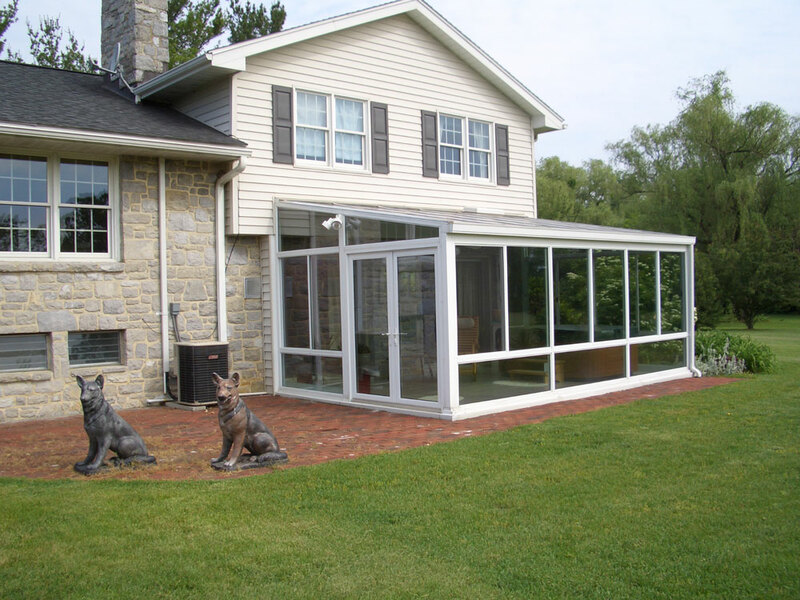 Adding a sunroom to your home is extremely exciting with a lot of factors to consider. Not just with respect to how your new sunroom is going to transform your home and change your life, but also regarding how you want your sunroom to look and what features you want it to have. 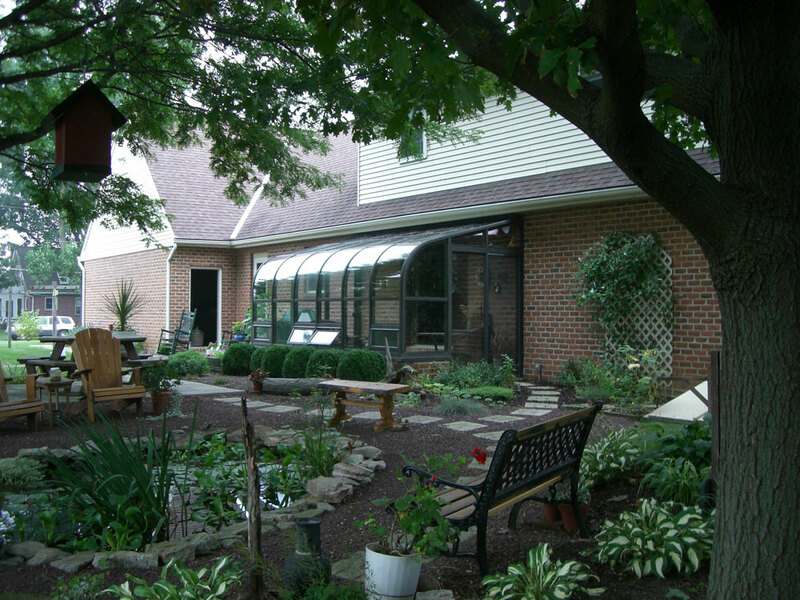 When you order sunroom installation from Four Seasons Sunrooms, you have access to a wide range of styles and features. 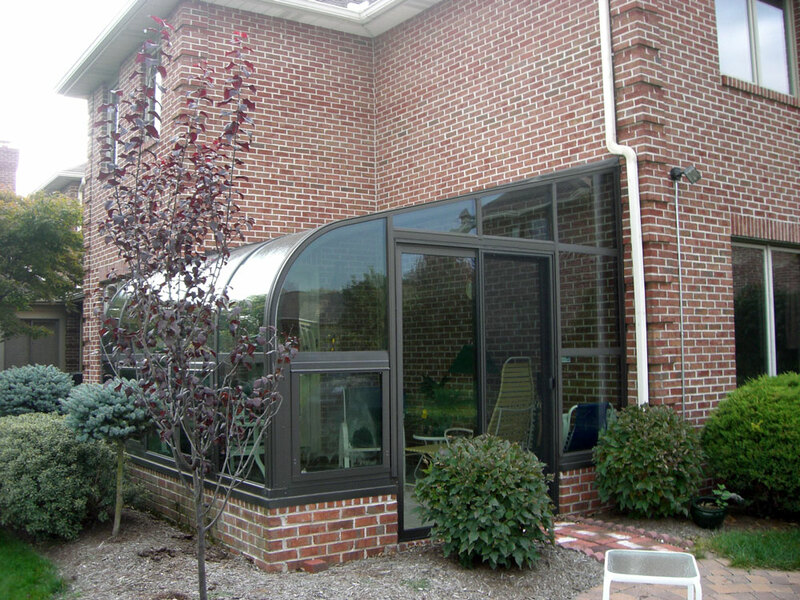 There is bound to be a way to customize your sunroom so that it fits your home and the needs of your family perfectly. One of the first decisions you will face is what type of roof your sunroom will have. You’ll need to decide the architecture of the roof, of course, including whether you opt for a standard straight eave roof or the elegance and symmetry of the curved roof. Or, perhaps you prefer the classic, eye-catching style of the Cathedral roof. Once you know what you want your roof to look like, you may have an easier time deciding what you want your roof to be made of. 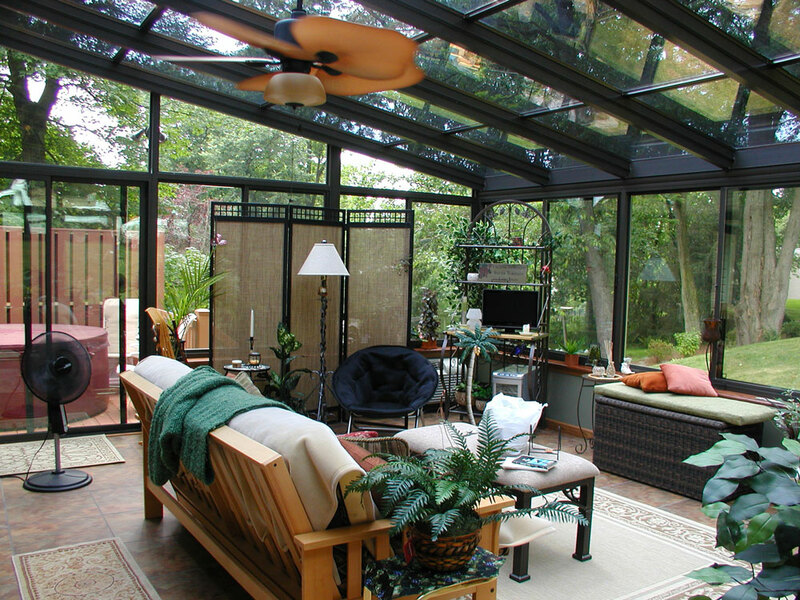 Do you want a sunroom with a glass roof? While glass roof sunrooms are very popular and you have probably seen a glass sunroof sunrooms in the past, solid roof sunrooms are also very popular, feel free to check out our Solid Roof Sunrooms too! 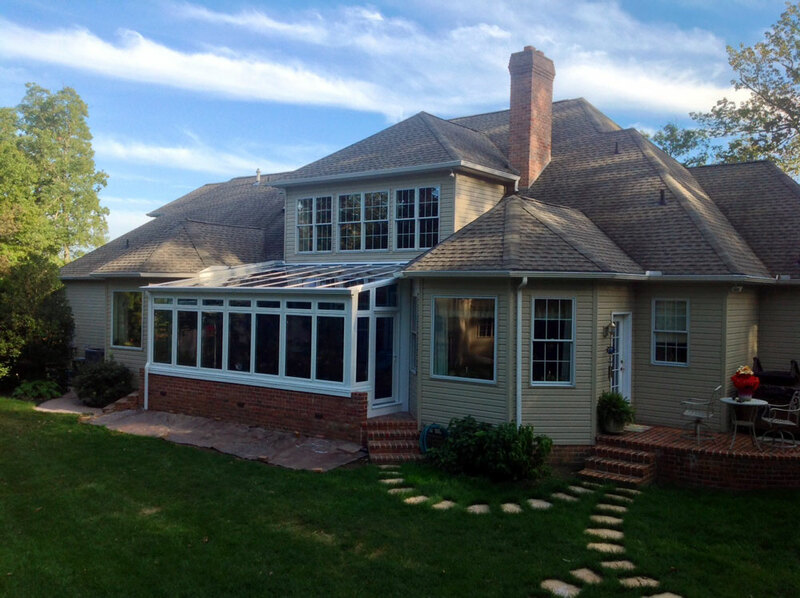 What is the difference between a sunroom installation with a glass roof and one with a solid roof? And how do you know which one is right for you? Read on for more information! 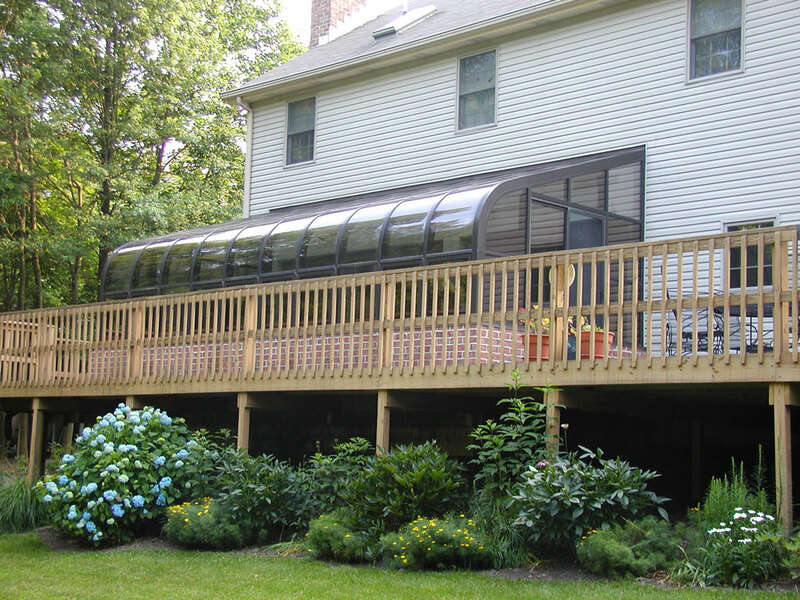 The graceful lines and elegant symmetry of our curved eave solarium designs complement your home’s existing roofline for a polished, finished look. 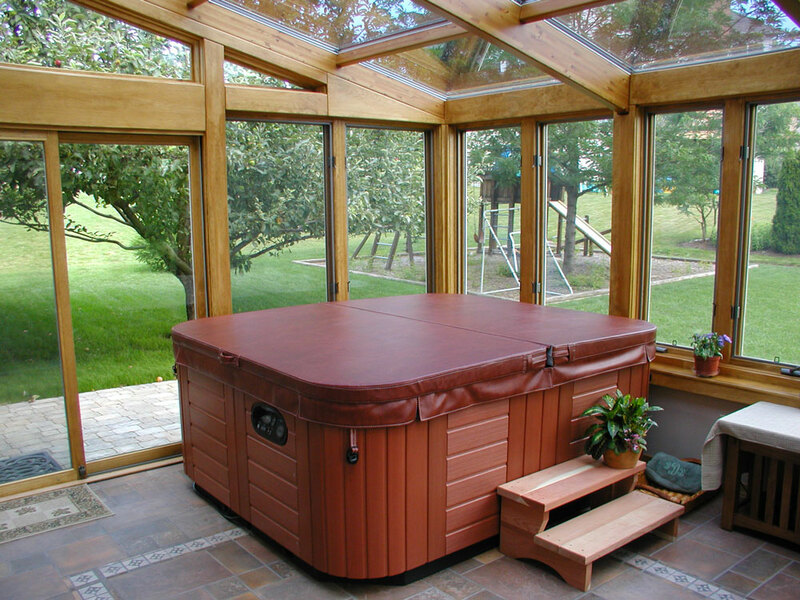 Select a solarium with a slim, contemporary aluminum profile, or one with the warm natural feel of Northern White Pine beams. The exclusive, patented, multi-coated CONSERVAGLASS SELECT™ windows ensure longevity, safety and an energy efficiency you won’t find anywhere else. Whether it’s an urban loft oasis or a rustic country retreat, a Four Seasons curved eave solarium will blend beautifully with your home. 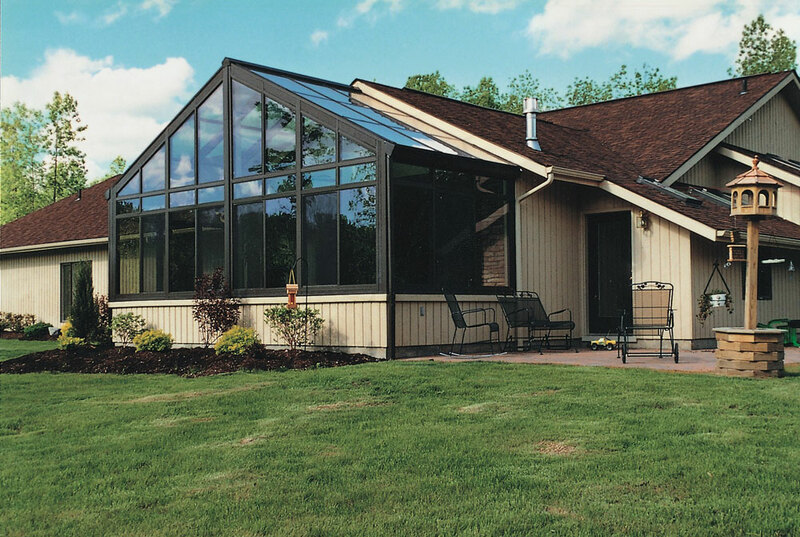 Simplicity and subtlety make the straight lines of our glass sunroom a seamless addition to your home. Dramatic use of light and space drive our cathedral sunroom designs, adding a new dimension to your home and lifestyle. 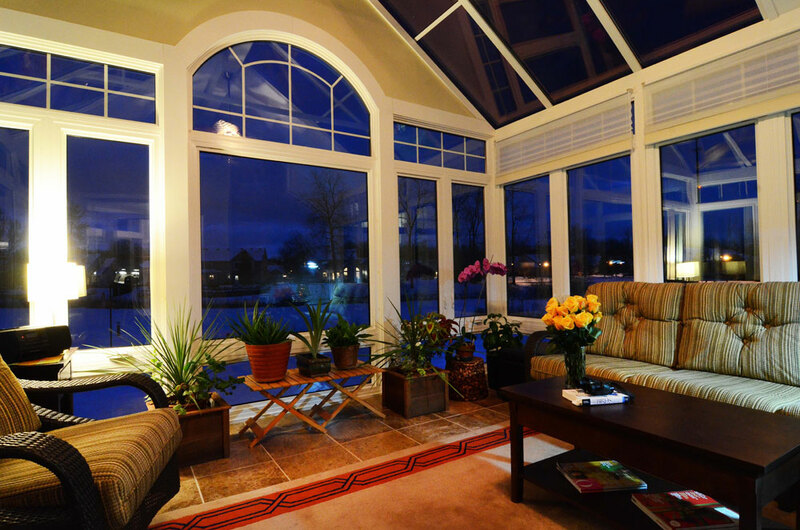 Enjoy a breathtaking living area — with the same energy efficient features as all of our glass sunroom additions. The vaulted ceiling and CONSERVAGLASS SELECT™ walls combine to offer style and comfort in equal measure. More Light: A solid roof blocks light from above, which is where some of the best light may come from. 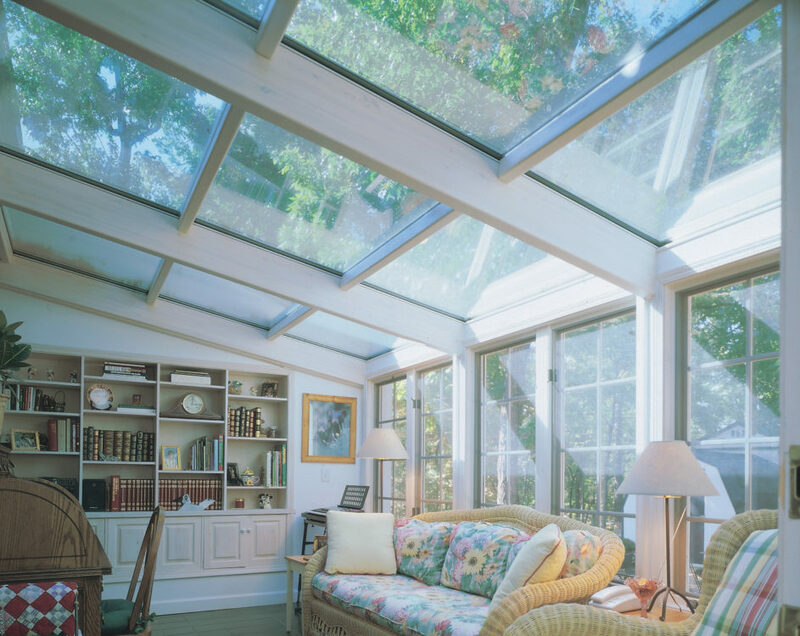 Since the idea of a sunroom is to get more natural light into your home, a glass roof may be a better choice for you. 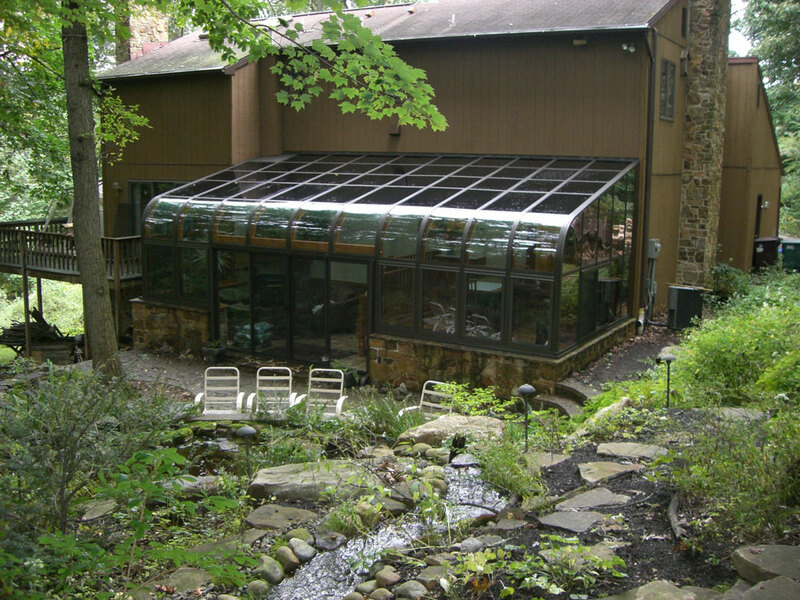 Appearance: Many people find there is something elegant and compelling about a sunroom that is made entirely of glass rather than having the symmetry broken by a solid roof. Better Views: With a glass roof, you don’t miss anything — you get full views of the area on and around your property in every season. Roof Choices: You can customize the shape of your sunroom glass roof, but most glass roofs have a very similar appearance. With a solid roof, you have more options when it comes to the look of your roof. Also, you may appreciate the consistency of having a solid roof to go along with the solid roof on your home. More Light: While you want natural light in your sunroom, you may not want direct sunlight all hours of the day. With a glass roof sunroom there is no escape from the light, although the CONSERVAGLASS SELECT™ glass in our sunrooms will protect you from excessive glare, UV rays and heat transfer. 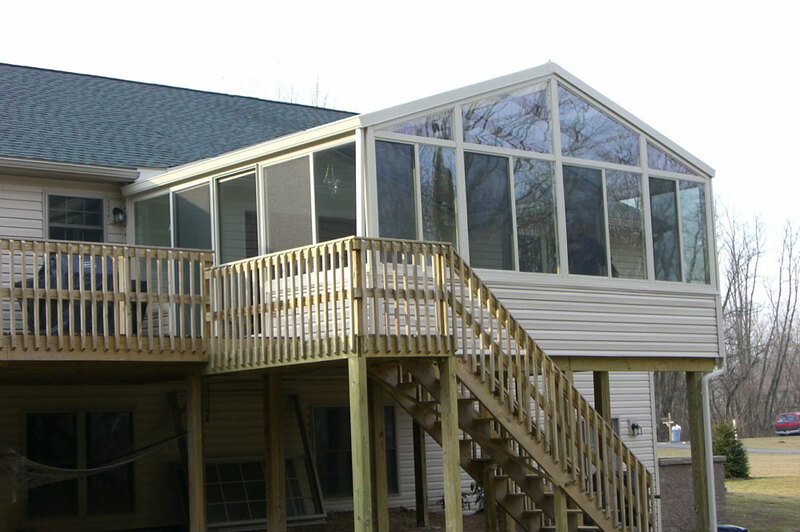 Cost: A glass roof sunroom tends to cost a little more than a solid roof sunroom. 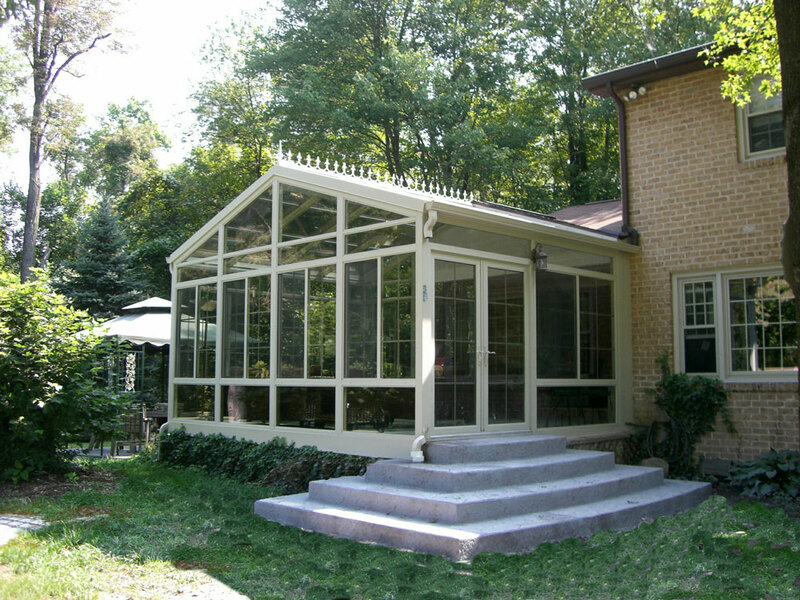 At Four Seasons Sunrooms, we’re happy to help you decide whether or not a glass roof sunroom is right for you. Just give us a call or fill out our form and submit it online. 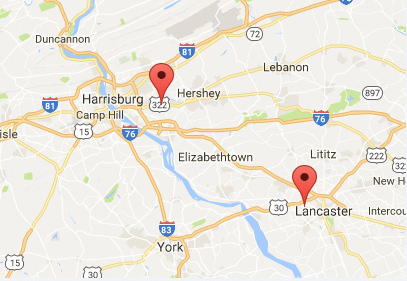 We can give you more information or schedule an in-home consultation to help plan your perfect new sunroom.